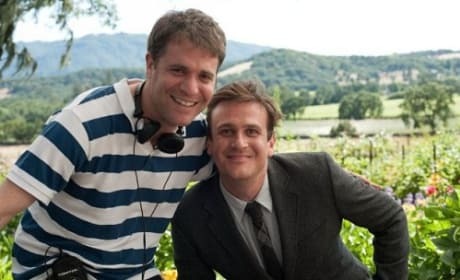 Jason Segel and Nick Stoller on the set of The Five-Year Engagement. The film opens April 27. 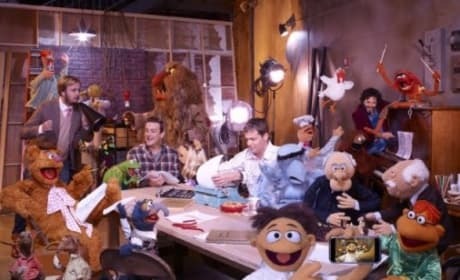 Jason Segel and Nick Stoller with their new friends, The Muppets. The film lands in theaters November 18.